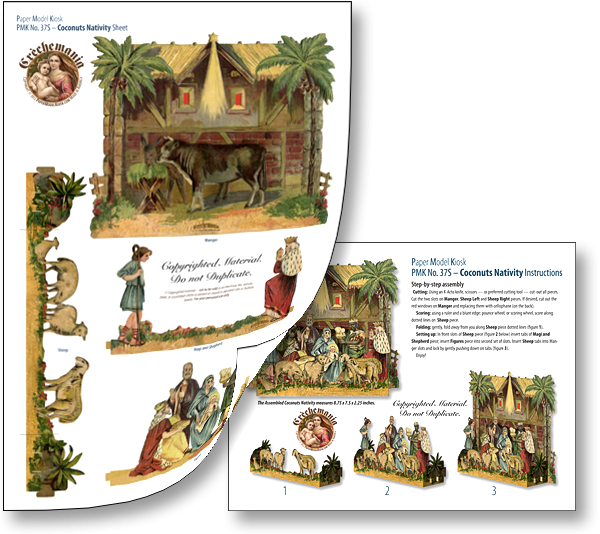 We get a quality 13 x 19 printed sheet (left) and a 3-page PDF Premium Download so you can print the Coconut Nativity as many times as you wish. 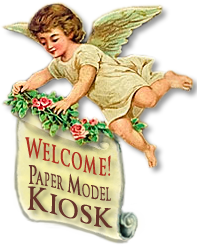 Our quality 13 x 19 Printed Sheet will create a 9.25-inch-wide paper nativity, and the Premium Download a slightly smaller (8.75 inches wide) one that you can print on regular-size paper. You also get a PDF page with step-by-step instructions, but you won't really need them since this nativity snaps together with tabs and slots.